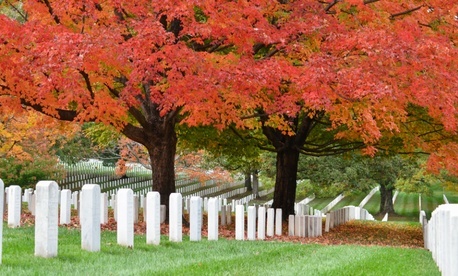 More civilian federal employees died on the job in 2013 than in any year in the last decade, according to data recently released by the Bureau of Labor Statistics. The 124 federal fatalities marked a dramatic 19 percent increase from the number of deaths in 2012, and was the highest total since 2002. The increase was in direct contrast to the private sector, where workplace fatalities decreased 6 percent in 2013. 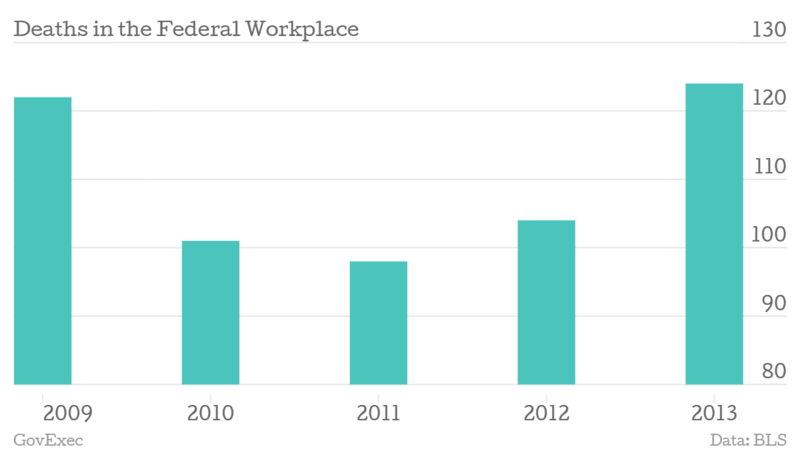 Deaths in the federal workplace had trended downward in the three years prior to 2013. For every 100,000 federal employees, 4.57 died on the job in 2013, compared to 3.2 across the entire American workforce. That means feds were about 43 percent more likely to die on the job than the average American worker. Work-related deaths were up 5 percent across government, dipping 22 percent at the state level but increasing 10 percent at the local level. Assaults and violent acts, which includes those inflicted by both humans and animals, were the next most common cause of death, accounting for about three in 10 federal workplace fatalities. The percentage of federal deaths caused by violence has increased steadily over the last decade and has more than tripled since 2004. The larger trend of fatalities in the federal workplace has been a positive one for workers. In the 10-year period from 1992 through 2002, there was an average of 187 deaths annually. 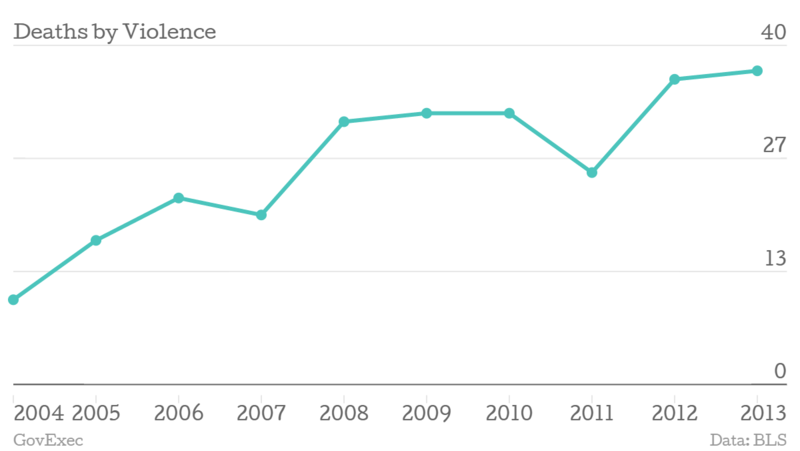 From 2003 through 2013, that average has dropped to 109. The Occupational Health and Safety Administration was looking into the cause of the spike in federal worker deaths in 2013, but could not offer an explanation as of Wednesday afternoon.